Do you ever wonder what’s in dust? Do you care? I looked it up and common, household dust contains more than just dirt. I really don’t want to know any more details about the dander, fibers and meteorite particles covering my furniture. Tools have been conceived for the express purpose of moving dust around and, if we’re lucky, actually picking some of it up. I once had a feather duster. It was the perfect device to cause an accumulation on the furniture to become airborne. Swell. My mother used dusting rags. She would spray them and dust the furniture. They were kept specifically for the purpose of dusting and were stored on the same shelf as her can of dusting spray. Periodically, she washed them and put them back on the shelf. I did that, too until I discovered dusters. Once I crossed over to dusters, I couldn’t go back. They can’t be cleaned because they are meant to be tossed after use. They cost quite a bit to replace. My last box of 10 dusters cost $7.97. That’s nearly $.80 each. If you use one duster per week, you’ll spend over $40.00 each year on dusters. The replacement cost prompted me to search for another solution. There are some clever people online who have designed DIY dusters that work very well. 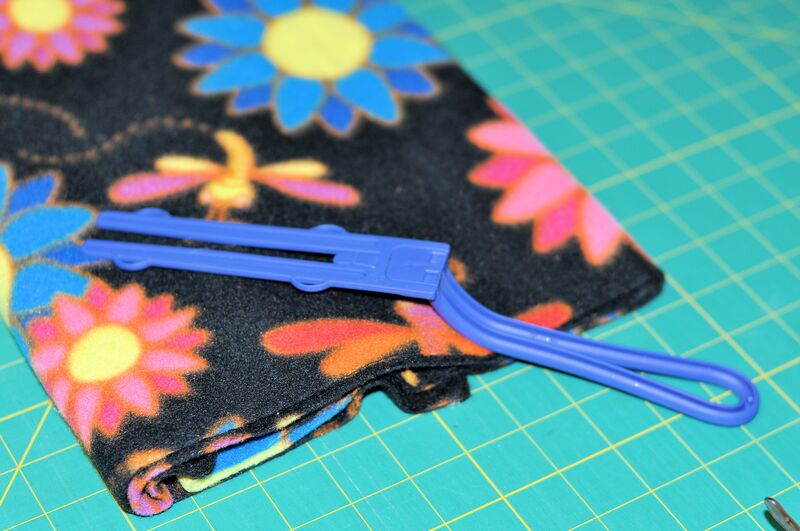 I followed this tutorial with some minor adjustments that made the dusters fit my handle better. Here is a similar duster. 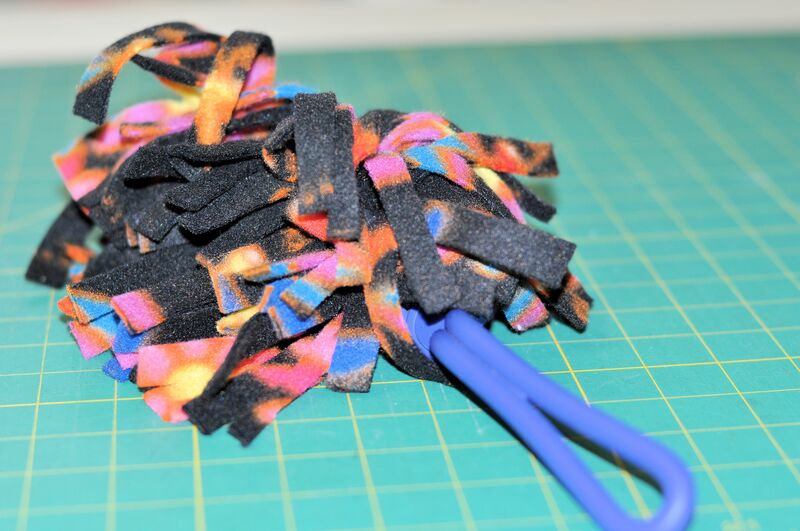 When I made my dusters, I used a piece of fleece that was left over from another project. This act alone helps solve two problems in my house: the need for a frugal solution for dusters and a reduction in the overwhelming amount of fabric filling my closet. (I don’t know how I managed to collect so much fabric.) It’s just a small piece of fabric, but I view it as another step on my journey to an organized sewing room. I do realize that I may never reach that destination. Of course, dry dusting just moves the stuff around and scatters it in the air to settle in another place, or go up your nose and into your eyes. A damp duster picks the mess up much better than a dry one, so spraying it lightly is good. I’ve found this recipe for dusting spray on several blogs, so I don’t know who to credit for it. Combine the ingredients in the spray bottle. Shake well. The oil will separate as the mixture sits, so remember to shake before each use. Posted on March 3, 2015 March 11, 2015 by Twain FarePosted in DIY Formulas, Frugal SolutionsTagged cleaning solutions, DIY, frugal living, household dust.